All of our timber is sustainably sourced through the FSC ® scheme. The FSC ® logo is globally recognised as a symbol of the world’s most respected forest certification scheme. The FSC ® label (that features the logo) indicates that any product carrying it has been produced using sustainable forest materials from FSC ®-certified manufacturers and forest owners. Engineered Redwood is an excellent timber species for products requiring a paint finish because the reduced moisture uptake and increased stability of the timber produces a substrate which enhances the coating’s life span. Being free of knots and imperfections not only enhances the aesthetic effect but also prevents the risk of resin exudation damaging the coating. 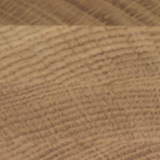 European Oak is a very strong, durable hardwood that benefits from an attractive grain and colour. In the past, high quality windows and doors have been made from European Oak due to its durability. However, it has a tendency to move which can cause failure of the glazing system and the glazing units. 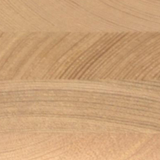 To overcome these problems we use knot free laminated European Oak which provides a greater amount of stability. Accoya has earned the highest durability rating of any timber. It is our timber of choice in the manufacture of external profiles because it provides a durable, stable base for our advanced paint system, promoting a long lasting, low maintenance finished product. For products manufactured entirely from Accoya we provide a 50 year preservative guarantee and also extended coating guarantees – 12 years for paint and 9 years for stain. We recommend Accoya for coastal areas. Grandis Hardwood provides a stable and durable substrate and is supplied as three ply laminated material for extra stability. 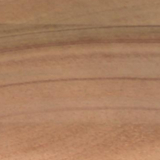 With its clear faced attractive grain pattern we manufacture all doors from Grandis as standard. 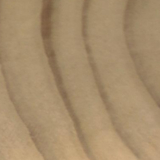 We also recommend that Grandis is used to manufacture those products that require a stain finish. Upon request we can provide products with individual chain of custody under the FSC® certification scheme. To view our FSC® certificate, please click here.